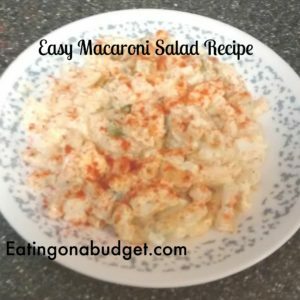 I may be a bit impartial, but I think this is the best macaroni salad recipe that happens to be easy and inexpensive to make. With just a few ingredients you can make a classic macaroni salad that is great to serve on a hot day or to take to your next picnic or family gathering. What I like about macaroni salad is that it is so so versatile. It makes a great side dish but is also filling on it’s own. The eggs add a nice boost of protein and you also have the celery which adds a nice, healthy crunch. See the tips below the macaroni salad recipe for other stir in ideas. Traditional macaroni salad is also super cheap make. I estimate that this cost me less than $3.00 to make and could easily feed about eight ore more people if serving as a side dish at a picnic or potluck (it’s also easy to double). The most expensive ingredient is the mayo. I am rather picky about mayo, preferring Hellmann’s brand so I do try to stock up when it’s on sale. But there are some store brands that are actually pretty good as well. When figuring cost I am only estimating the amount actually used in recipes. For example, I can buy a club pack of eggs (3 dozen) at my local Wegmans for $1.89. Since I only need six eggs for the recipe the total cost of eggs for this recipe is just under 32 cents. Talk about a cheap source of protein! Place macaroni in a large bowl and add the celery, onion and hard boiled eggs. 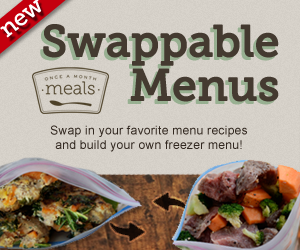 Set aside (if not making dressing right away, cover and refrigerate). In a small bowl combine the remaining ingredients except for the paprika. Whisk until smooth and toss with macaroni mixture. Sprinkle with paprika if desired. Cover and refrigerate until well chilled (about 2 hours). Add a heaping tablespoon of sweet pickle relish to give this basic macaroni salad a nice and tangy taste. To make this more of a main dish instead of a side dish you could add a can of drained tuna and and about a cup of frozen peas (thaw peas under cold water before adding). Just fold the tuna and peas into the macaroni mixture before adding the dressing. If your macaroni salad seems a little dry just add a a little more mayo until it is at the consistency that you like. Start with about a tablespoon and add more as needed.